case of interrupt driven I/O the CPU time in polling is saved. should be serviced first. So there should be some priority mechanism. In this issue different mechanisms could be used. to it. Thus on each line, one of the other technique would still be required. 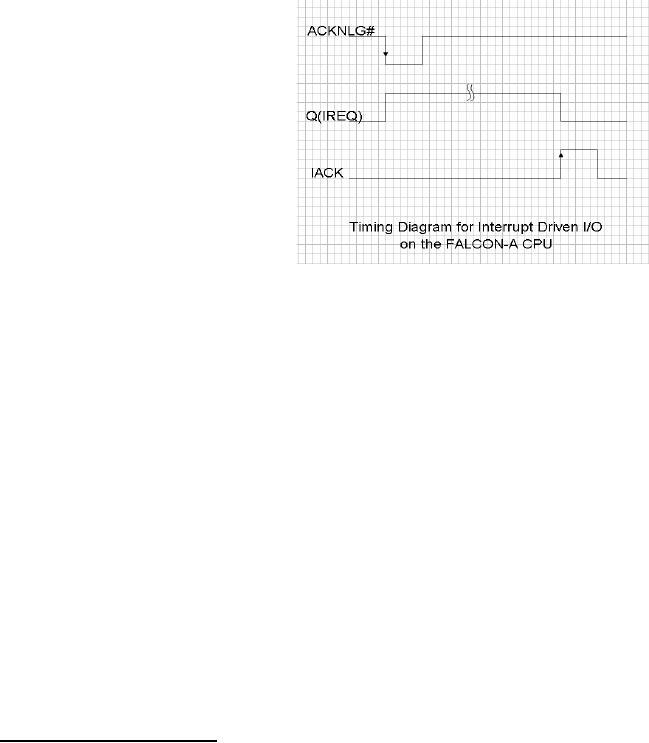 routine which is specific to that particular device. signal is shared and it goes on to different devices. 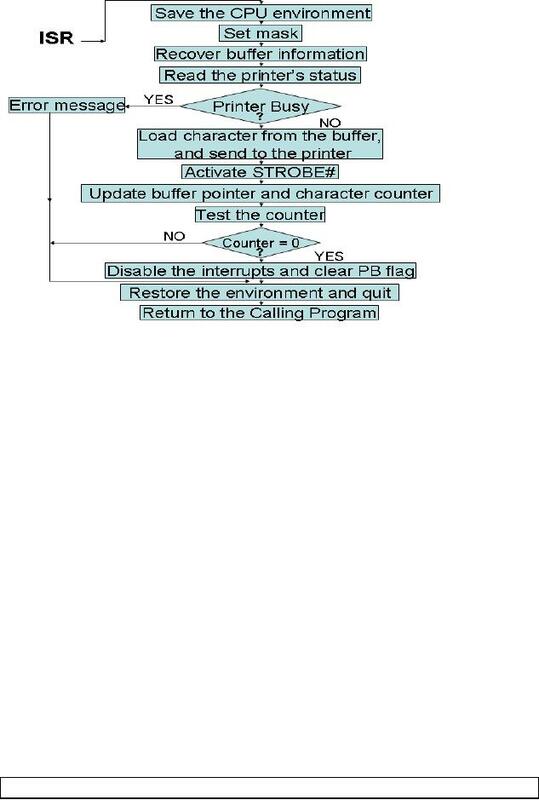 buffers, which would be enabled through interrupt acknowledge. 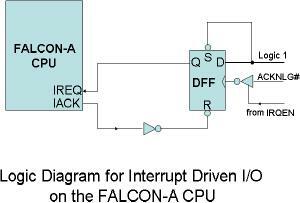 The wired or interrupt signal allows several devices to request interrupt simultaneously. signal from its output to he next device. cyclic provision to different devices. things like saving PC, etc. 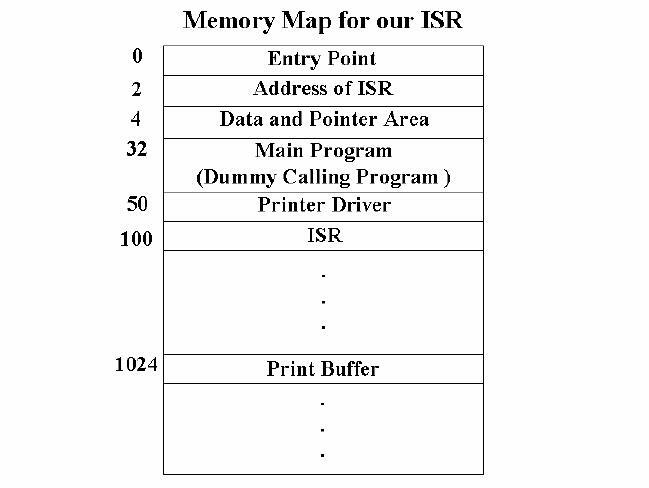 · The address of the ISR is stored at absolute address 2 in memory. one character transferred during a 16-bit transfer. · Printer will activate ACKNLG# only when not BUSY. permanently connected to logic 1.
will never be set asynchronously. case of the same as in the case of the programmed I/O example. to the word processor. It can be assumed that polling is used for the input device in this case. stored to the printer driver. The calling program can also be called the main program. 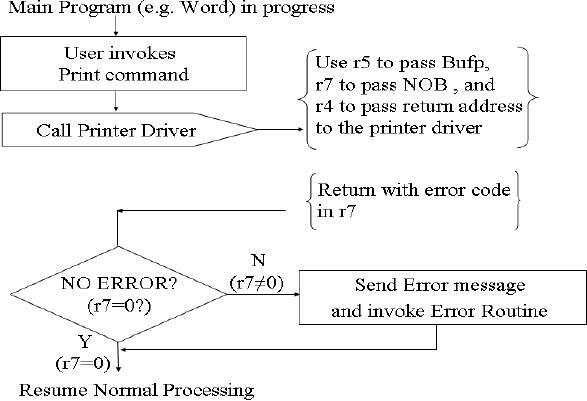 program calls the printer driver and passes these two parameters in r7 and r5 respectively. Bufp, NOB, PB, and temp are the spaces reserved in memory for later use in the program. the main program is placed at address "main", which is the entry point in this example. is stored at address "a4PD" using the .sw directive. This value is then brought into r6. 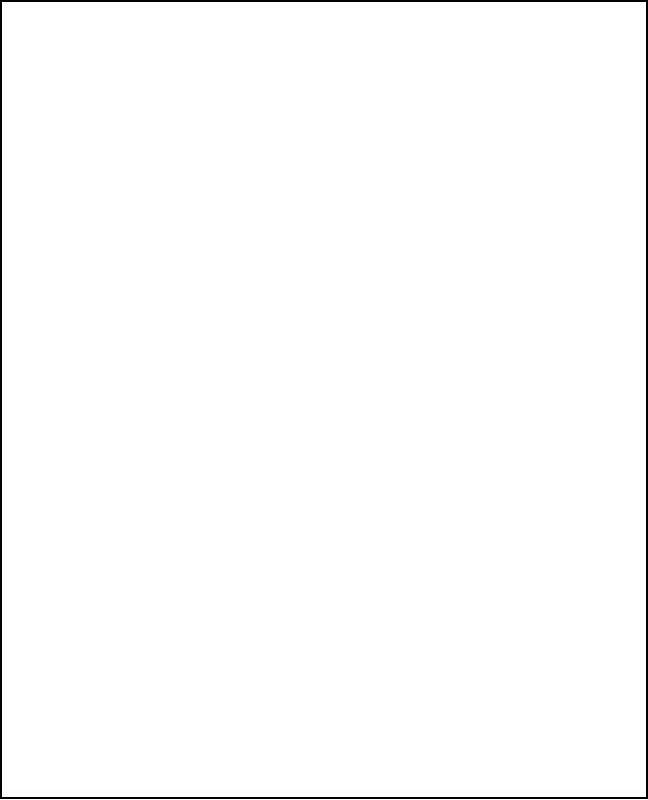 for the printer driver, shown in the attached text box. 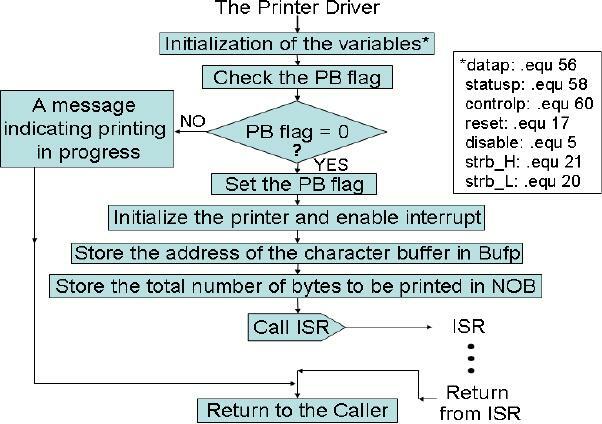 ; information about print buffer. ; Handle error conditions, if any , upon return. performed by the driver (see the attached flow chart also). Initialize printer and enable its IRQEN. fixed memory location during the assembly process. ; test if BUSY = 1 ? reason, and it is done only once for each call to the ISR. memory location 2 i.e. M.